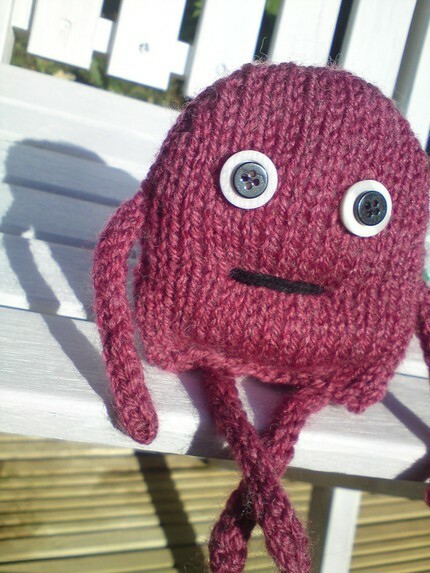 Today we have a lovely little knitted monster named Rosie from MaisyMakesMonsters. She looks so sweet and innocent, I'd almost worry that the monsters at my house would be a bad influence on her! Maybe I could keep her on my desk at work?